The Olympic Music Festival, which enters its 32nd season with a pair of concerts on June 27 and 28, will bcome a third-generation affair this summer. Cellist Alexander Hersh is one of four Iglitzin Fellows who will perform alongside festival and fellowship founder Alan Iglitzin, OMF artistic director Julio Elizalde and other veteran professional players in the 2 p.m. Saturday and Sunday concerts. Hersh’s father, violinist Stefan Hersh, and his uncle, Julian Hersh, both have built long and successful musical careers, and both have performed in multiple OMF seasons. His grandfather, violist and pianist Paul Hersh, has been a fixture at the festival almost since its inception back in the mid-1980s, while maintaining his own successful teaching and performing careers. Ironically, Alexander is the only Hersh on the roster of performers for the 13 weekends of 2015 festival performances. He actually is a fourth-generation musician — great grandfather Ralph Hersh was violist for the Stuyvesant Quartet and principal violist for both the Dallas and Atlanta symphony orchestras. 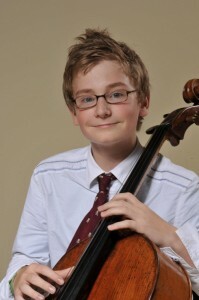 His mother, Roberta Freier, also is a professional violinist. The festival kicks off with a program honoring Iglitzin, consisting of a pair of Brahms string sextets and featuring longtime collaborators Charles Wetherbee, violin, and Korine Fujiwara, viola. More details on this year’s festival are available here: olympicmusicfestival.org. Also, watch for Kitsap A&E‘s upcoming festival preview online and in the June 26 issue of the Kitsap Sun. I just checked the Olympic Music Festival site and found the 2012 program is up, featuring 10 weeks of “Concerts in the Barn” beginning June 20 and running through Sept. 2 on the bucolic festival grounds near Quilcene. The festival’s 29th season will feature many favorites, including founder and artistic director Alan Iglitzin (viola), Paul Hersh (piano) and Julio Elizalde (piano). Iglitzin will play in five of the 10 weekend programs, the first a Wolfe-Beethoven-Brahms program July 21 and 22 featuring festival favorites the Carpe Diem Quartet, which features OMF veterans Charles Wetherbee (violin) and Korine Fujiwara (viola), as well as new members John Ewing (violin) and Kristin Ostling (cello). The season winds up Sept. 1 and 2 with the twin pianos of Elizalde and Michael Brown playing music by Brahms, Stravinsky, Bernstein (a suite from “West Side Story,” no less) and Ravel. As always, concert-goers can enjoy the music from the barn, seated on church pews or hay bales, or outdoors on the berm, and spend time prior to and following the concerts picnicking and strolling around the 55-acre grounds, a former dairy farm. Concerts are on Saturday and Sunday afternoons, beginning at 2 p.m.